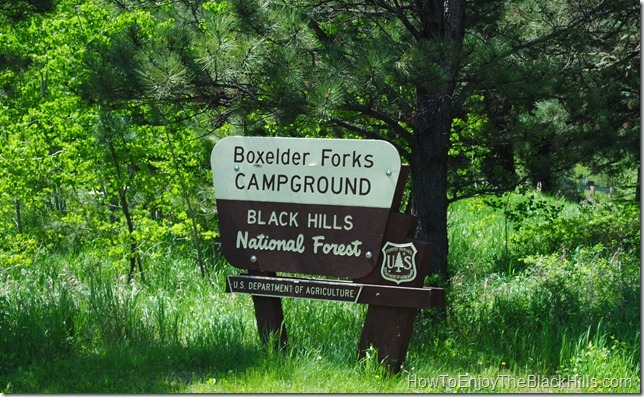 You want to go camping in the Black Hills National Forest. You want a secluded Black Hills campground – no highway noise at night. You want a stream that goes right by your campsite. You’d like to be close to the 111-mile Centennial Trail. This is a great campground just a few miles from Nemo. 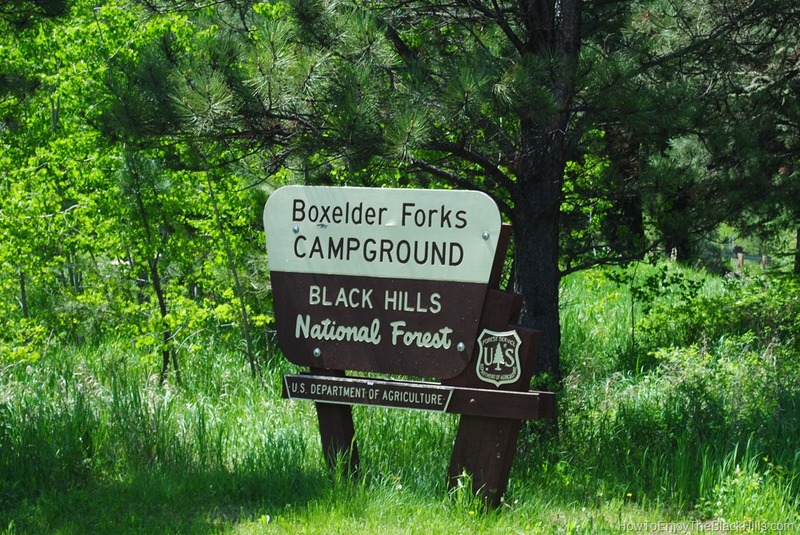 All the campsites have a fire ring and picnic table and most of the sites are right next to Boxelder Creek. Perfect for tent camping or using your trailer or RV. Just about a mile down the road is the Boxelder Trailhead for the Centennial Trail. You are in a great location for many recreation opportunities. The campground has 14 sites – you cannot reserve spots – first come, first served. Like other forest campgrounds there are no electrical hookups, but fresh water is available. Check out BHNF website for more information. You are close to Nemo, which has a bar and restaurant – in case your campfire cooking doesn’t turn out. I would encourage you to carry a good map when exploring the area. I like the Black Hills – Northeast, South Dakota Trails Illustrated Map #751 is has most of the trails in the area (including trailheads). North on the Centennial Trail will take you to the Dalton Lake Trailhead. Or, if you head south, you’ll find the Pilot Knob Trailhead.